The Penal Detention Facilities Act stipulates that the treatment of inmates aims to stimulate their motivation for reformation and rehabilitation, and to foster their ability to adapt to a social life by working on their sense of consciousness in accordance with individual characteristics and circumstances, at the same time respecting their human rights. Each penal institution conducts the assessment of individual characteristics and circumstances of each inmate (treatment assessment), utilizing specialized knowledge and techniques, such as: medicine, psychology, pedagogy and sociology. Detailed assessment is conducted at designated penal institutions (assessment centers) for newly sentenced inmates not more than 26 years old and inmates who will be enrolled in special guidance for reform. 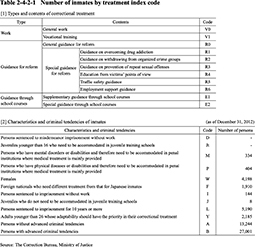 After assessment (including assessment at assessment centers) penal institutions designate one or more treatment codes to each inmate at the commencement of each sentence. The treatment code includes the type and content of correctional treatment and the characteristics and criminal tendencies of the inmate. 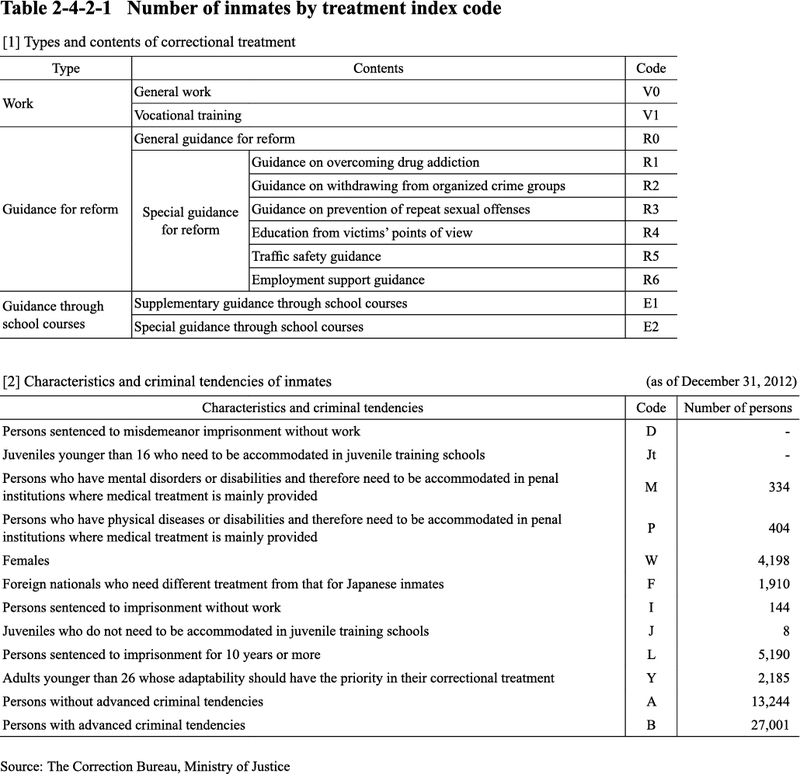 Table 2-4-2-1 shows the number of inmates as of the end of 2012 by treatment index code. More than one treatment indices may be designated to an inmate.